Nice 3 bedroom 1 1/2 bathroom split level on a quiet Wood Dale street. 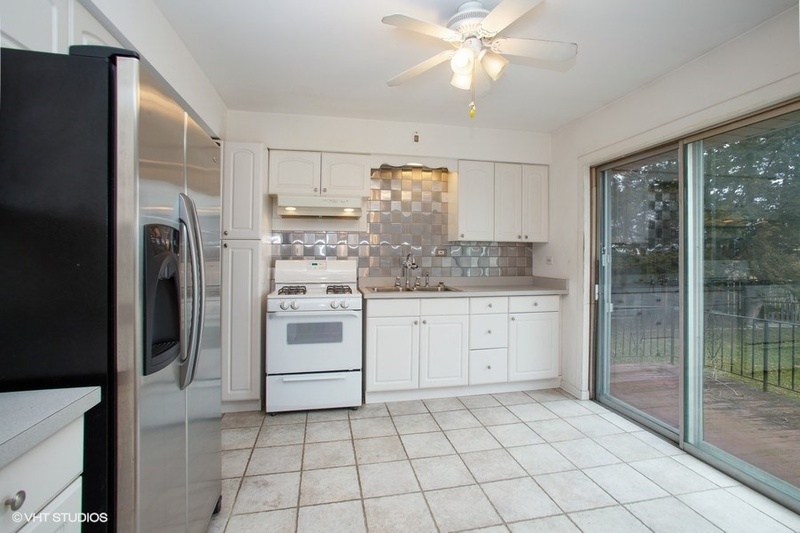 Updated kitchen with a stainless steel refrigerator, newer sink and cabinets and travertine tile floor. 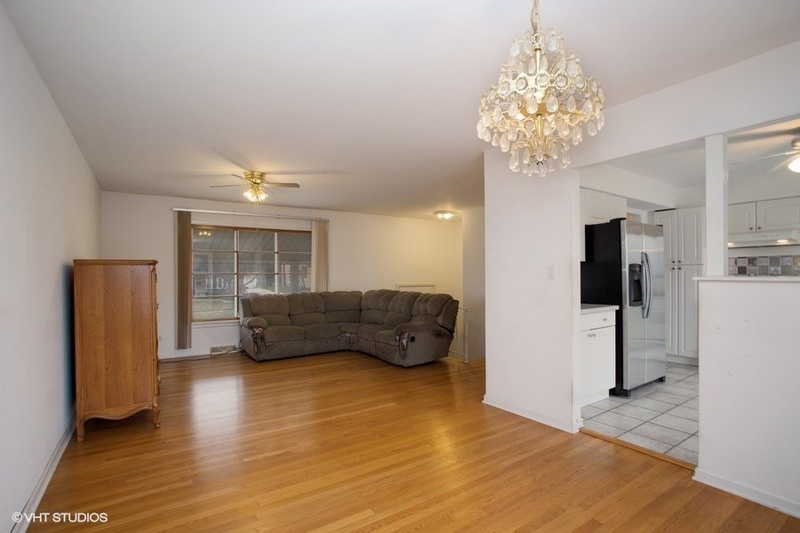 Spacious and bright living spaces with the entire main floor boasting hardwood floors. 3 good-sized bedrooms on the main level, all with ceiling fans and closets and a full bathroom with dual vanities a tub/shower w/ large linen closet. The massive lower level is split into 3 distinct pieces – a family room (25×18) is great space for entertaining or as a play area; another open and flexible space (25×22) and the utility room with work bench (8×13). 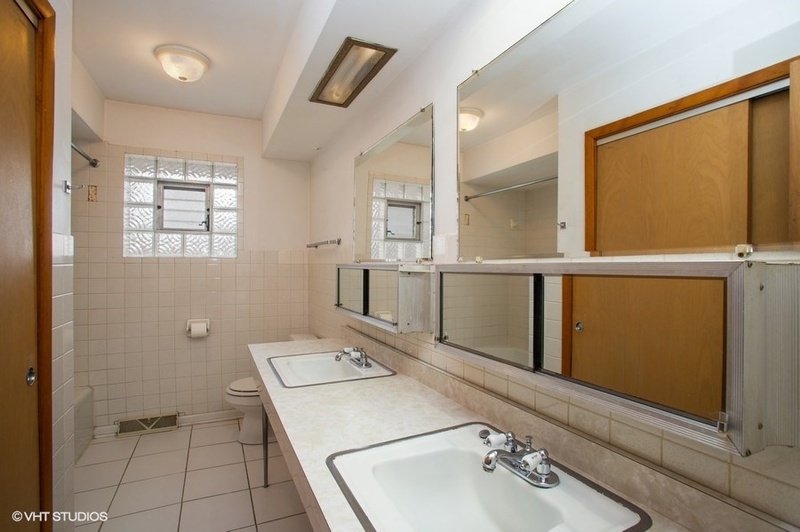 There is a 1/2 bathroom in the lower level with plenty of space to expand with a shower. 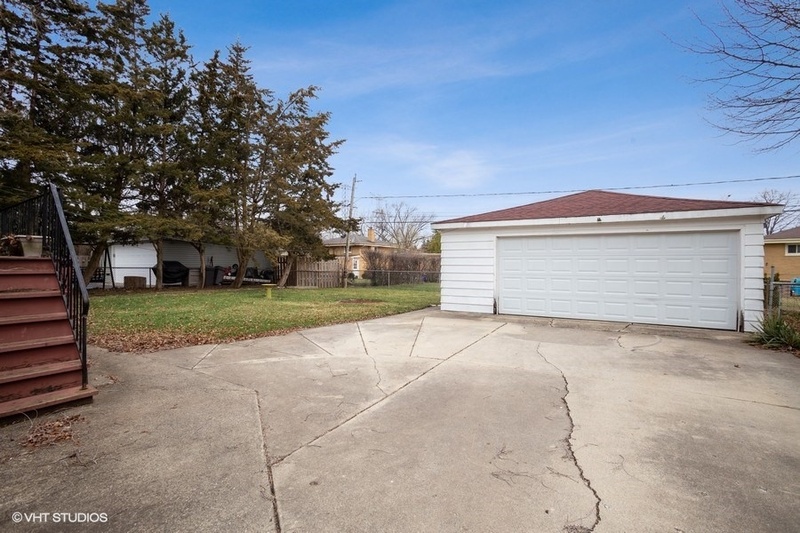 Peaceful fenced yard with wood deck and detached 2 car garage. 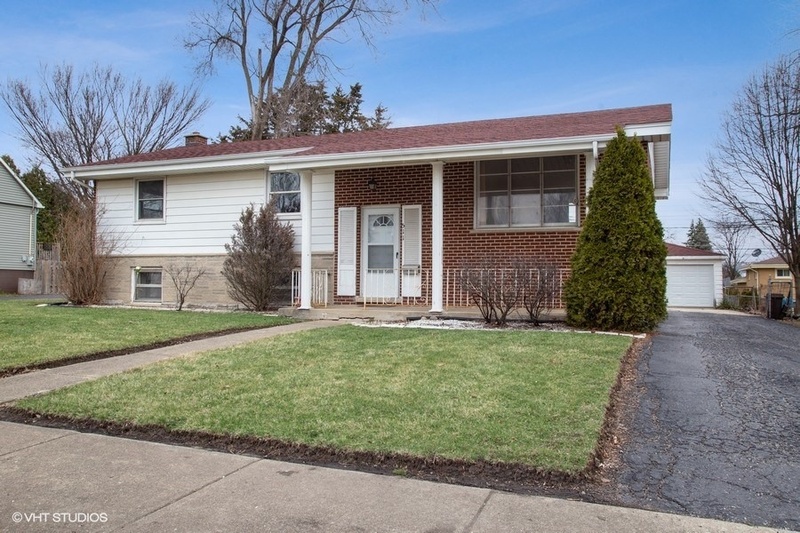 Located on a quiet street walking distance from a park and to Songbird Slough Forest Preserve with easy access to shopping, restaurants, train and expressway. This is NOT a short sale or foreclosure, great opportunity to make your own! Updated kitchen with stainless steel refrigerator, travertine tile floor, newer sink and cabinets with sliding glass door to the back deck. Can easily accommodate a table and chairs. 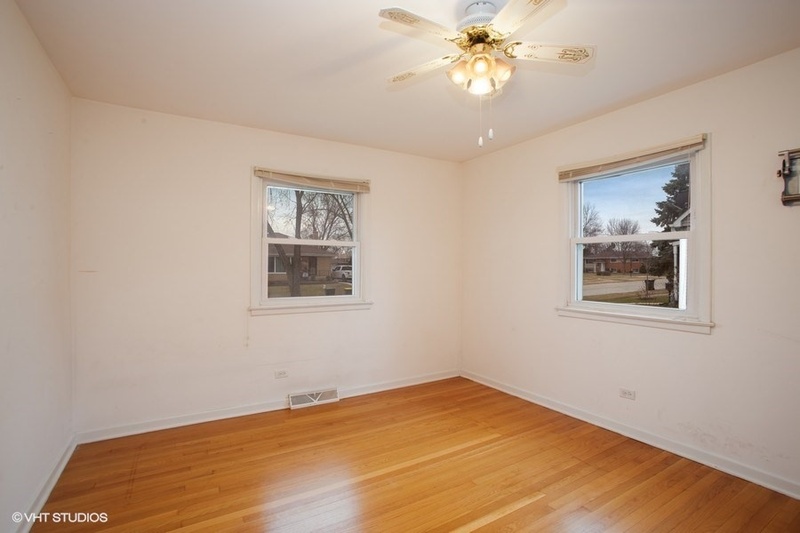 Large and open space with hardwood floors and big window overlooking the front yard. Plenty of room to entertain family and friends. 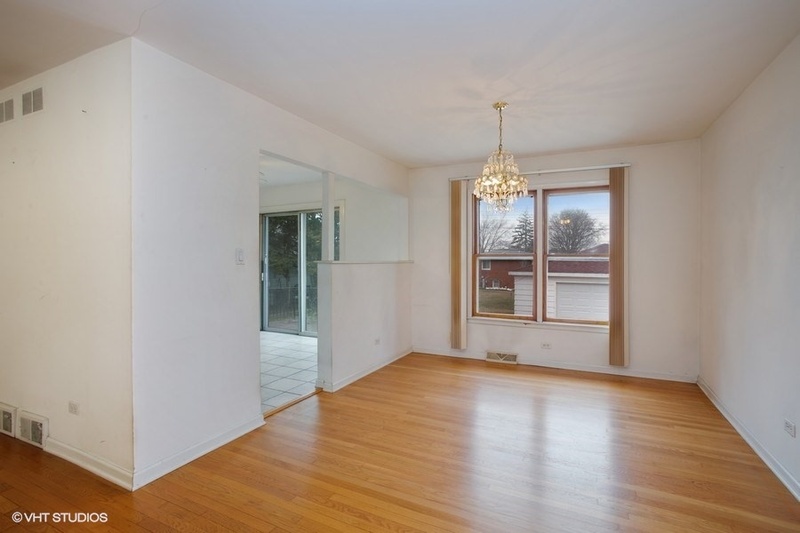 Hardwood floors, nice light fixture and natural light from the back yard. 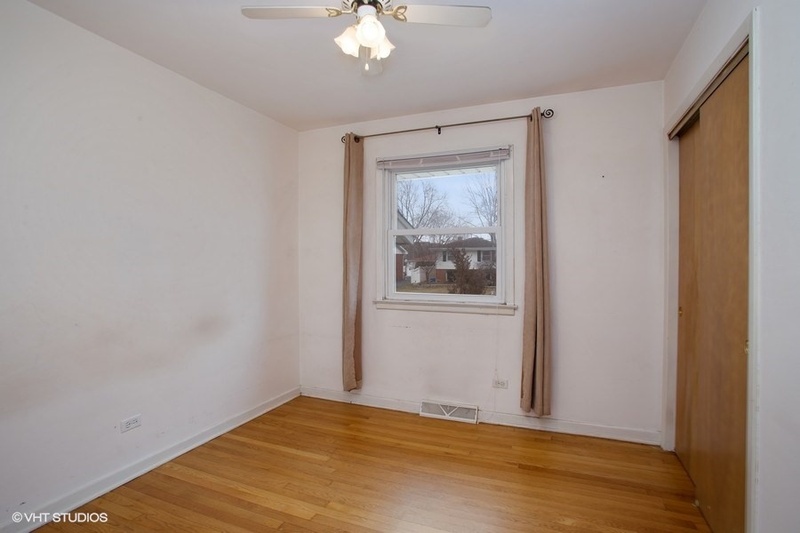 Good sized bedroom with hardwood floor, ceiling fan and closet. All 3 bedrooms are on the main level. 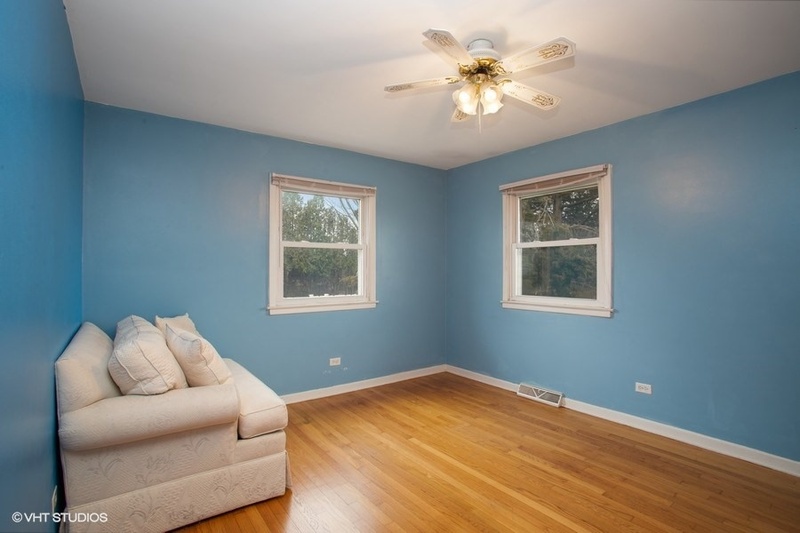 Another roomy bedroom – also with hardwood floor, ceiling fan closet. The smallest of the 3 bedrooms, with hardwood floor, ceiling fan and closet. On the main floor, the full bathroom features a ceramic tile floor, dual vanities, a tub and shower and large linen closet. 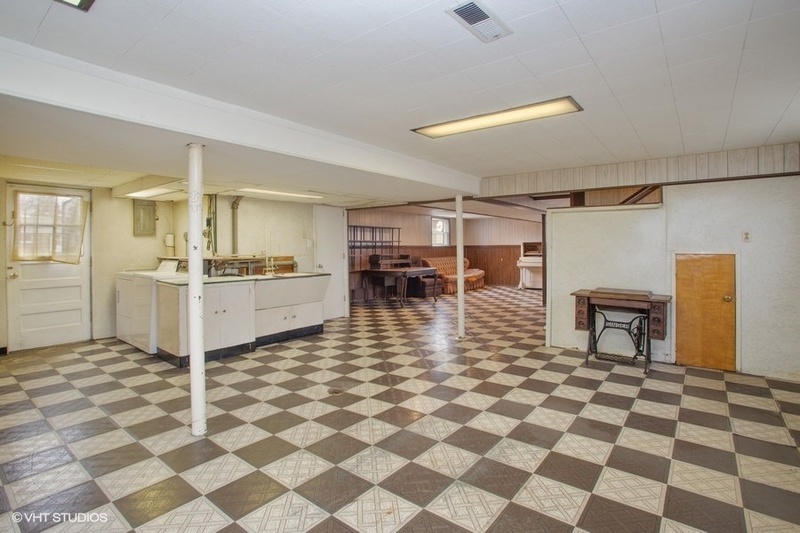 Massive finished lower level with 3 distinct parts with a half bathroom. To the far side of the photo, there is a family room (25×18), a sizable (25×22) open area is in immediate view and utility room (8×13) is to the left. Great opportunities here! Nice sized fenced backyard with detached 2 car garage.